This section contains timely and concise commentaries on recent Singapore cases and, where appropriate, on those from other jurisdictions as well. Commentaries are written with a practical perspective, providing a clear summary of the latest legal position, as well as how related areas of law are affected. Areas of coverage include commercial law, arbitration and mediation, general disputes and community law. 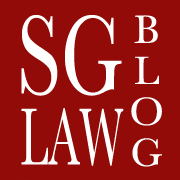 Singapore Law Blog welcomes contributions of in the form of case commentaries. Contributions should be about 2,000 words with no footnotes. Any references should be in-text. If you would like to contribute, please email the administrative team to discuss your proposed topic before proceeding so as to avoid any duplicated work. The administrative team can be reached at singaporelawblog@gmail.com and will respond to any proposal promptly. Please see current blog entries for structure and style. If you are a lawyer regulated under the mandatory Continuing Professional Development (“CPD”) scheme administered by the Singapore Institute of Legal Education (“SILE”), you may wish to claim Private CPD Points for your contribution to the Singapore Law Blog. Before doing so, please ensure that your contribution satisfies the criteria set out at Rule 3(1)(c) of the CPD Rules 2012 read with Paragraph 7 of the CPD Guidelines 2012. For more information on Private CPD Points and the CPD scheme generally, please visit the SILE CPD Centre at http://www.sileCPDcentre.sg.